A local soccer club will be able to offer improved facilities to the entire community this winter, thanks to floodlights installed by Kavanagh Engineering. 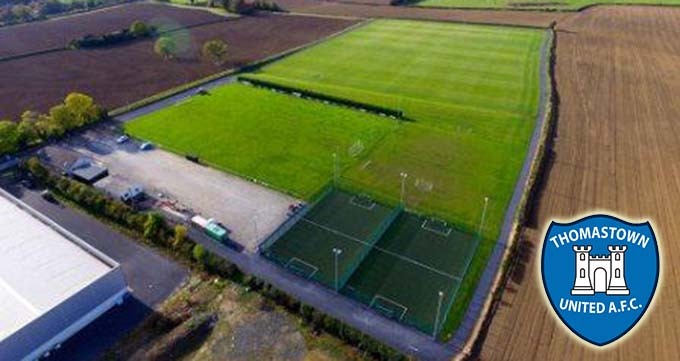 Thomastown United FC have a one-kilometre walking track around their grounds on the Dublin Road on the outskirts of town. It is open to all to use. They engaged us to light the track properly, to make it safer and more inviting on the dark winter nights that will soon be drawing in. This was a relatively straightforward job for us. However, it still had to be completed to our usual high standards of both equipment used and workmanship. We recommended 55w LED streetlight-type lights, sitting on a 5m pole/column. Once these were okayed by the club, the necessary trenches were dug for cabling, and we installed the entire system. The lights only work during no-light hours up to 10pm at night, which is closing time. We also installed a timer switch, so that anybody going for a walk can turn on the lights. They will automatically turn off after a set period. This is an example of just one of our electrical services, which Kavanagh Engineering has excelled at since we were founded back in 1954. If you need electrical work done, we can do it for you. Just call us at (056) 772 4111, e-mail us, or use our Contact Us form.